A condominium in Brighton Towers works well as an investment or as a vacation home. For Ian and Brenda Potter of Raleigh, North Carolina, it serves as both. 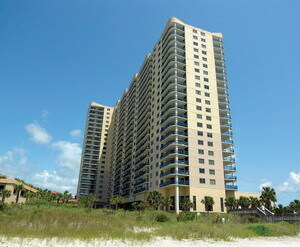 Brighton Towers, a 21-story oceanfront high-rise located inside Kingston Plantation in Myrtle Beach, South Carolina, offers owners the opportunity to live at the beach or reap the benefits of a sound financial investment. The Potters have chosen to do both. Though they live in Raleigh, a three-and-a-half-hour drive from Myrtle Beach, they spend up to two weeks a year, usually in the winter, in their three-bedroom condo. The rest of the time they rent it to others who enjoy going to sleep and waking up to the sights and sounds of the Atlantic Ocean lapping gently against the Carolina shore. "We were looking for some beach-front property, and we had a friend who already was living in Kingston Plantation," says Ian, explaining why he and his wife decided to invest in the Grand Strand. 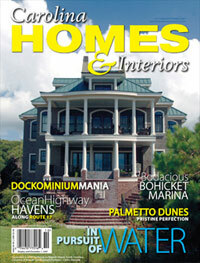 "Myrtle Beach has all the pluses going for it. There's an awful lot of things to do. The golfing is great, and there are lots of restaurants, shows and shopping." He adds that he and Brenda were especially impressed with Brighton Towers because most of its condos offer views of the ocean and the beach. In addition, their floor plan includes two bedrooms plus a one-bedroom lock-out, which gives them the option of having two renters at the same time. In addition to large private balconies, Brighton Towers offers crown molding in the living and dining areas, granite counter tops, ceramic floor tile and major appliances. The master bath features a whirlpool tub, separate shower stall and travertine marble floors. Recreation facilities are also an important draw at Brighton Towers. Kingston Plantation offers numerous lakes and a half-mile of shoreline; a health club with state-of-the-art equipment, a spacious aerobics studio, racquetball courts, an all-season lap pool, a sauna and whirlpool and an outdoor junior Olympic pool and sundeck; nine lighted tennis courts and a pro shop; 11 swimming pools; supervised children's programs; two on-site restaurants; and SPLASH!, a Caribbean-themed pool complex with multiple levels of slides, spouts, jets and a giant water bucket, in addition to a children's pool, a putting green and a lighted volleyball court. Brighton Towers houses 20,000 square feet of first-floor meeting space. Kingston Plantation, which boasts another 50,000 feet of conference space, plus a ballroom that can host a banquet for up to 1,400 people, is one of the largest hotel conference facilities in the Southeast.